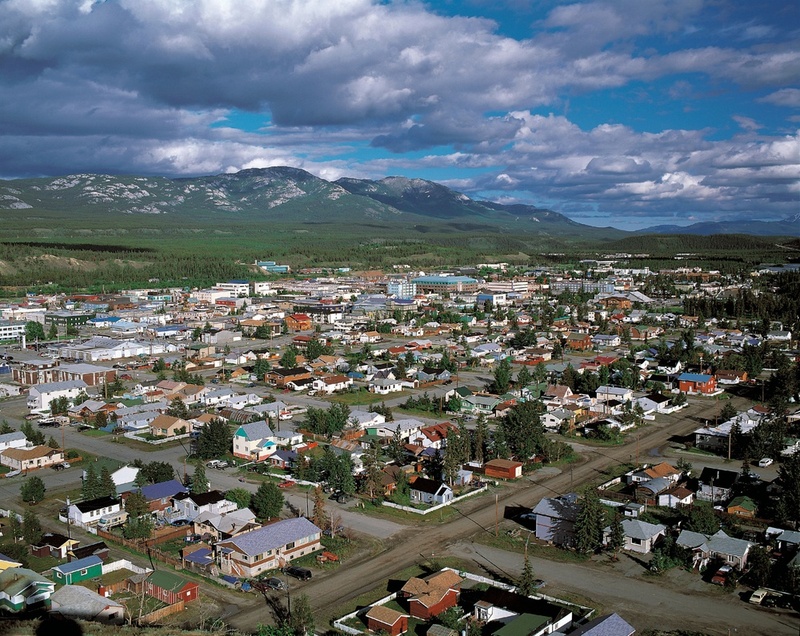 Canada's Yukon territory is a perfect destination for those craving a peaceful escape from their busy lives. Teamed with beautiful landscapes, fascinating wildlife and a good physical challenge, it's a true wilderness adventure waiting to be explored. 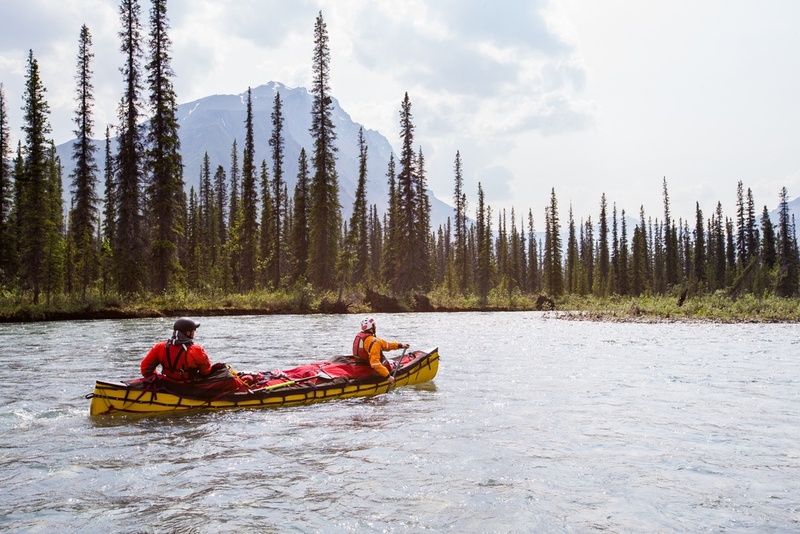 What made you choose the Yukon Canoe Adventure? It was the remoteness and the wild camping aspect of the trip that appealed to me the most. The chance to get away from phone reception, internet and all the stresses of daily life. 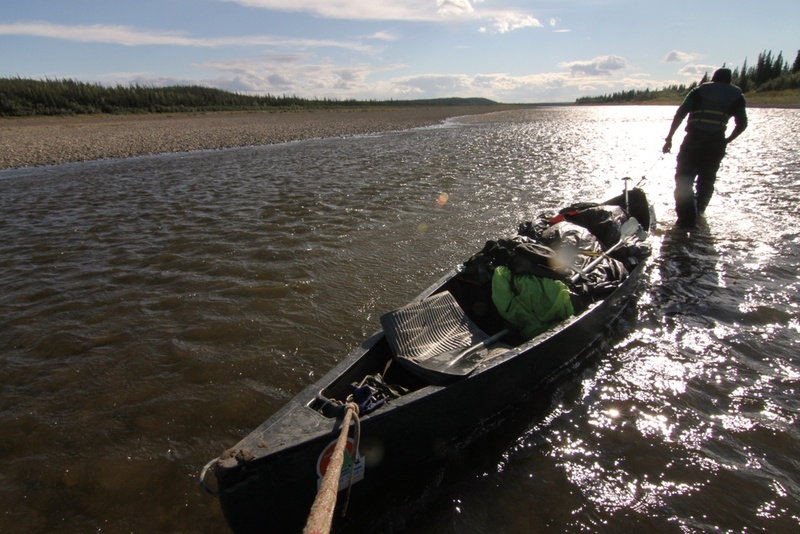 The trip involves travelling 320km along the Yukon River in a canoe – how did you find the journey? I found the trip quite demanding, but in a good way - I wanted a challenge. There were lots of stops and we were always communicating about how tired we were or for how long we could continue. The leader also made it clear that if it was too much we could finish before the end. We wanted to complete it though, and in doing so gained a real sense of achievement as a group. Can you tell us a bit about the landscapes you saw on the trip? Beautiful forests line the river and lake. 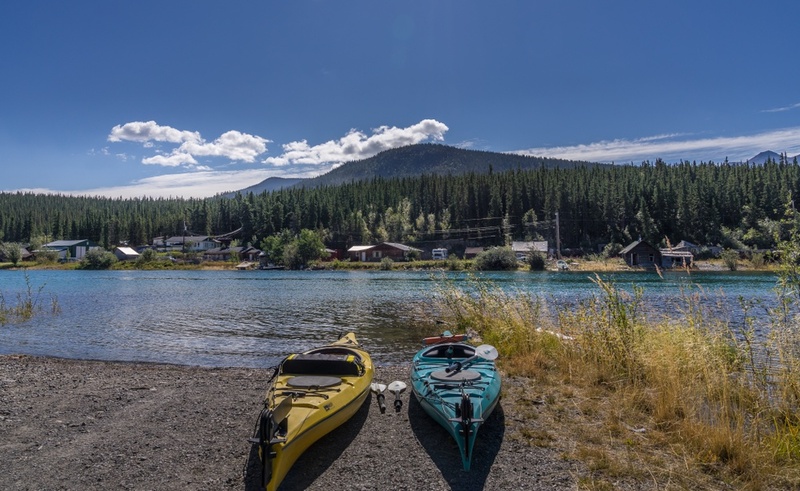 Campsites are nestled within the forest and have amazing settings. We stopped for lunch one day on a beach which was entirely covered in sun bleached driftwood that had been gnawed by beavers. At another point, in the middle of the lake, the sun came out following some light rain and a rainbow appeared above a suddenly glass-like surface. We stopped paddling and enjoyed an incredible peace and tranquillity whilst the view left us too speechless to break the silence. How did it feel being away from civilisation? This is one of the best aspects of the trip. No power, no phone, no internet. When you finish the day so tired from paddling and setting up camp, the food tastes better than ever and the sleep you have (even when camping – I know!) is the best and deepest sleep you can imagine. Such a change from the broken sleep at home induced by a multitude of daily worries and thoughts. 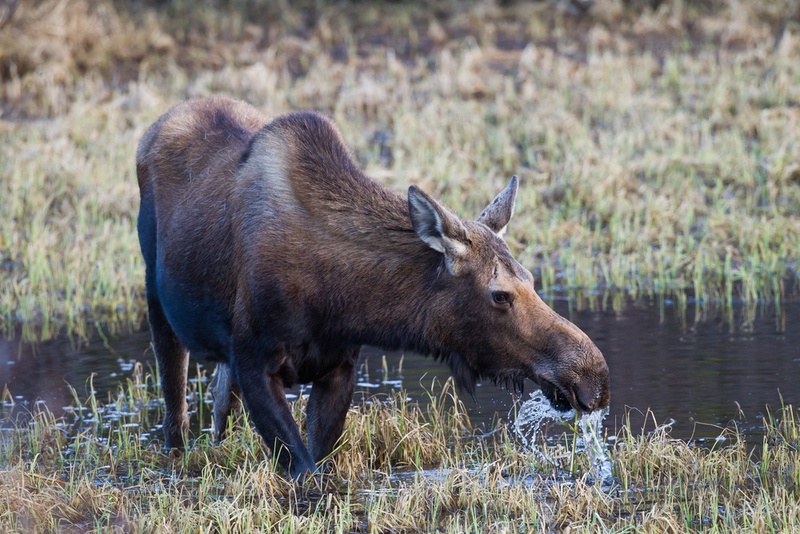 There’s loads of wildlife to be found in the Yukon territory – what were your best animal spots? We saw more bald eagles than people, coyotes and beavers too (as well as evidence of their gnawing) but the top spot was a female moose with calf just grazing on the bank. Being in the canoes, we were able to drift soundlessly past as the animals continued as though we weren’t there. 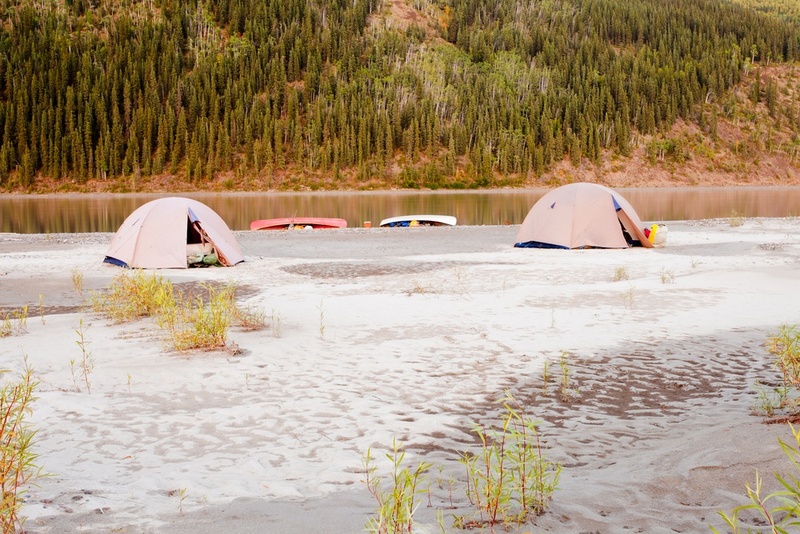 Away from the wilderness – what did you get up to in Whitehorse? You’re able to find a few interesting bars and restaurants in town. Quirky places. The group was also able to stock up on any equipment needed for the trip. Things like dry bags, rubber boots and sleep mats are all available at Canadian Tire – a short walk from the hotel. I had a huge breakfast of eggs, bacon, sausage, potato and pancakes before setting off on the river. How was the camping – did you have a favourite location? All the campsites were amazing, so wild. Some were even strewn with gold rush artefacts such as parts of ancient iron dredgers. Campfires every night and no other campers at the site meant a great level of camaraderie and a sense of adventure. My favourite location was camping by the lake. Our tent had an incredible lake view and although the water was very cold, an afternoon swim on arrival was a real highlight. 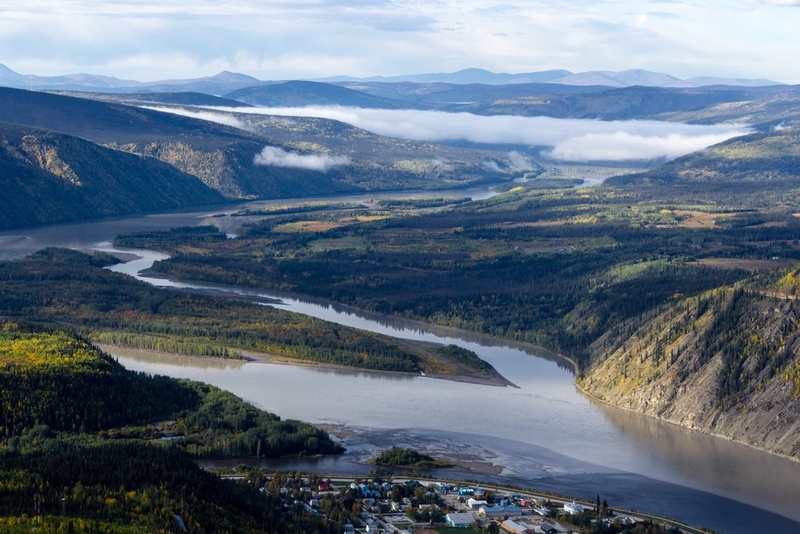 What did you see and learn about the Yukon’s history, particularly the Klondike Gold Rush era? Lots of artefacts were just left along the riverside and remain as a reminder of the golden era in this part of Canada. One stop allows you to wander through a former conurbation and the imagination runs wild at the thought of how it must have been to live here during those times. 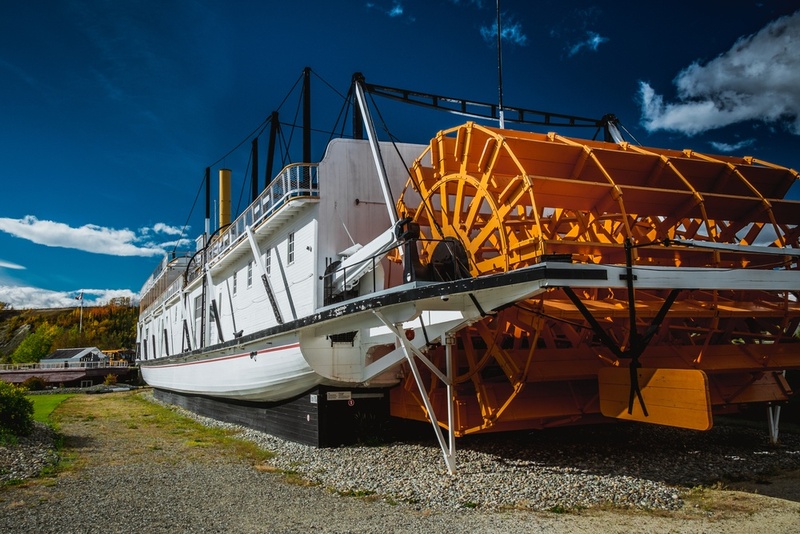 At another stop, a huge steamboat is jacked up and left to decay, a mind-blowing indication of how abruptly the good times ended and nature reclaimed the river returning it to its wild remoteness. Our leader had a deep knowledge of the history and informed us really well as we paddled and at our lunch and night stops. His specialist subject was the history of the first nation people, so it was particularly fascinating to learn about the region from the native peoples’ point of view as well. And finally – was there one particular highlight of the tour that you’ll never forget? The biggest highlight for me was the immense calmness and clarity that came from being in such a remote and wild place. The exercise, the fresh air, the repetitive action of paddling (in a good way! ), the sense of achievement. It was like a form of meditation and mindfulness that I really appreciated.